Few players in NBA history have single-handedly turned around struggling franchises. In the case of the Milwaukee Bucks, who were entering their second year of existence in 1969, they won a coin-toss with the Phoenix Suns to draft Kareem Abdul-Jabbar, formerly Lew Alcindor from UCLA. Kareem paid instant dividends by leading Milwaukee to a 56-26 record, which was a remarkable improvement from the 27-55 record in their inaugural season. By 1972, Kareem had already delivered a title to Milwaukee, was League MVP in 1971 and was coming off back-to-back scoring titles. The 1971-72 season saw Kareem lead the league in scoring with 34.8 points per average and his 1972-73 season saw him average 30.2 points per game, the third straight season in which he surpassed the 30-points-per game mark. 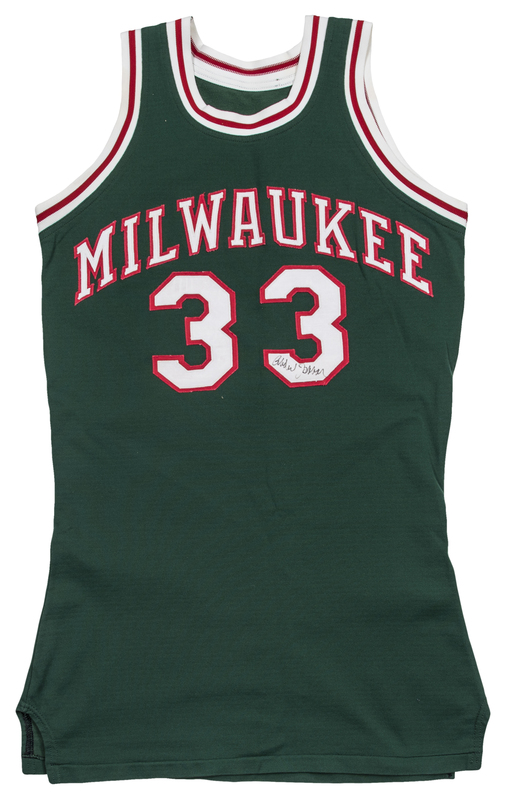 This offered Milwaukee Bucks home jersey was worn by Kareem during the 1971-72 and 1972-73 seasons. 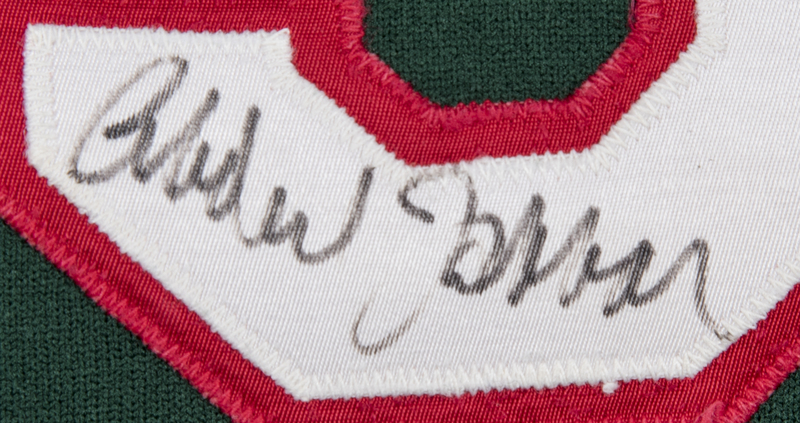 This is an extremely rare early-NBA game worn jersey from the NBA’s all-time leading scorer. 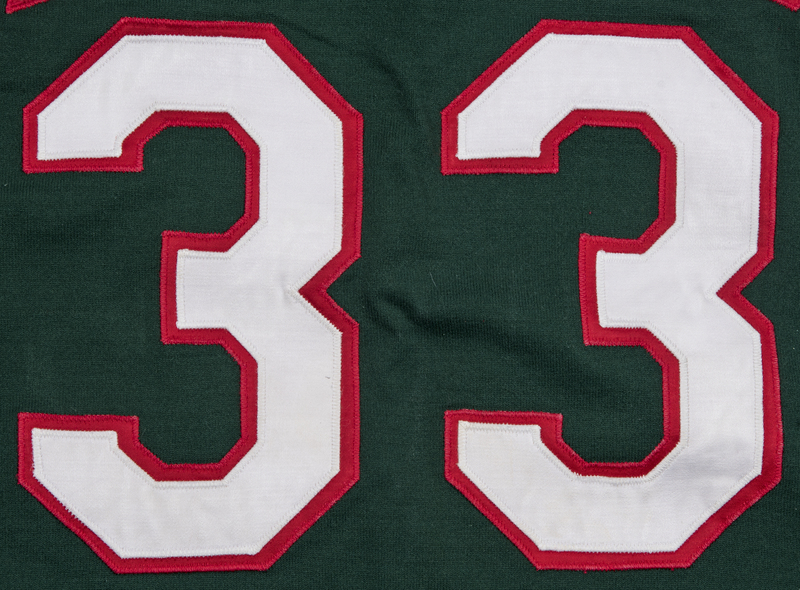 This Sand-Knit material jersey features “MILWAUKEE” and “33” sewn on the front in white and red tackle twill. 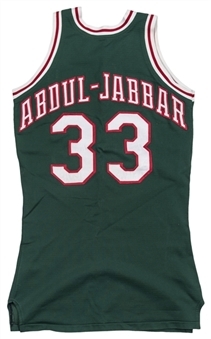 The back of the jersey has “ABDUL-JABBAR” and “33” sewn on in white and red tackle twill. The open neck and arms are bordered in a white/red/white pattern made of a ribbed material. The jersey displays moderate game use. 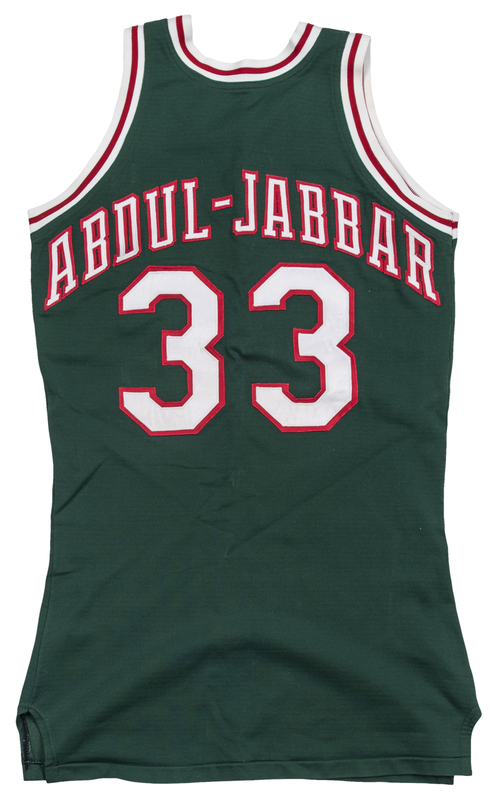 There are remnants of “JABBAR” underneath “ABDUL-JABBAR” on the back of the jersey and the “33” was replaced as well, which would date this jersey to the 1971-72 and 1972-73 season based on Kareem changing his name from Lew Alcindor and the league not allowing him to use his full name Abdul-Jabbar on his jerseys, only Jabbar at first. Also, this was the style jerseys the Bucks wore on the road for these two seasons. 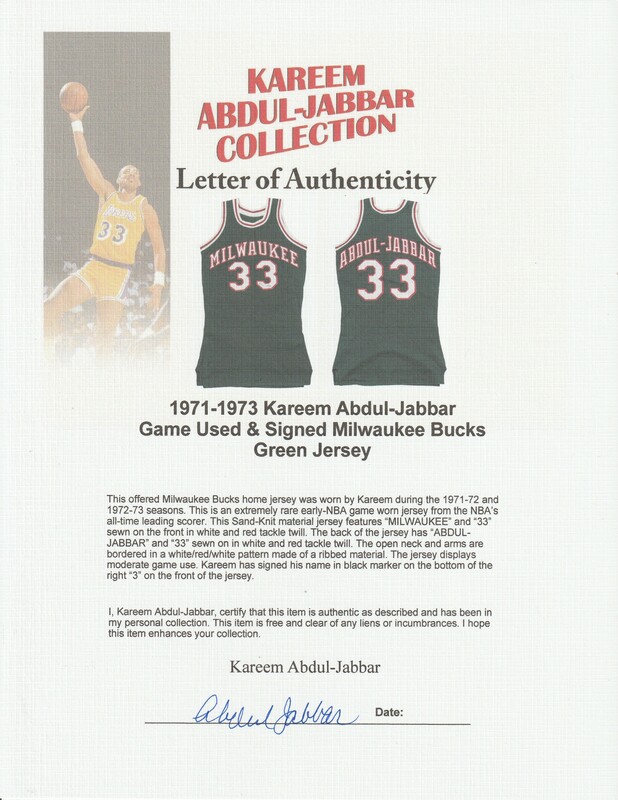 Kareem has signed his name in black marker on the bottom of the right “3” on the front of the jersey. This jersey derives directly from Kareem Abdul-Jabbar and a personally hand-signed LOA from Kareem will accompany this item.